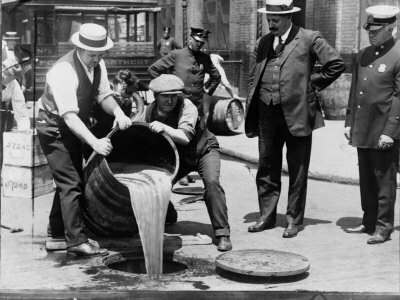 After Prohibition was passed, a set of racketeers began to trade alcohol, including Al Capone. To take them on a special unit was formed at the Treasury department. After Prohibition was passed, a set of racketeers began to trade alcohol, including Al Capone. To take them on a special unit was formed at the Treasury department. 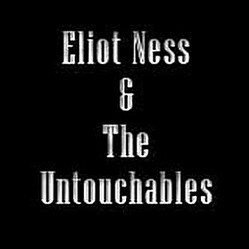 Led by Elliot Ness, they became known as the Untouchables. Taking on men who would stop at nothing, including bribery, blackmail and murder, unable to trust the men outside their own team, the Untouchables' battle against the racketeers has become the stuff of modern myth. Realising the problems with trying to enforce the law, Elliot Ness, an up and coming official known for his outspoken anti-corruption views was recruited to clean the town up. He was told to pick his own officers, form a team and take on Al Capone. And one unofficial member: his driver, Frank Basile. Ness knew that going after the outlets would be ineffective, but if he could destroy the supply, then the outlets would close. He went after the racketeers' breweries and supply lines. The first step was simple. By tracking back the trucks carrying beer to known speakeasies, Ness discovered the location of several stills and raided them. He then got lucky and found a location he could wiretap to eavesdrop on the mob, providing him with information. His successes began to mount. An attempt was made to bribe Ness through a mob agent, which he forcefully rejected. As they offered $2000 a month, and he was only earning $3000 a year, this highlighted how much the mob had available, and the damage he was doing. The Mob retailiated by putting a tail on Ness and his men, and offering rewards to anyone who saw them. After failing to bribe Ness, the mob turned to his men. Two of the as-yet unnamed team were surprised by a packet of money thrown into their car through the window. The enraged officers sped up, caught the car it came from, and lobbed it back full force. Ness released this to the press for useful publicity, and the team were promptly dubbed "The Untouchables". Now in the public eye, Ness arranged a parade of all the trucks he had captured in his raids passed Capone's hotel. In Ness' biography it states that Capone lost his temper, and began screaming "I'll kill him!". If true, this was when the attempts began. Eliot Ness' driver was shot and murdered. Later Ness discovered a car bomb in his car. A double agent they had planted within the mob had to skip town when his life was threatened - not because he was discovered but because he failed to provide accurate enough information on Ness. And through it all, Ness continued methodically raiding and shutting down breweries. One of the largest they found by accident, when a woman reported an odd smell at the paint factory next door. When they raided it, the still took up three floors of the building. It was music to Ness' ears on the wiretap the day one of the racketeers replied to a speakeasy that they could not send them any beer, since they did not have any. Without the money to continue to supply bribes and pay officials, the mob's influence began to wane. Ness pressed his advantage and continued to attack the speakeasies and breweries. However the treasury department was working on two fronts. 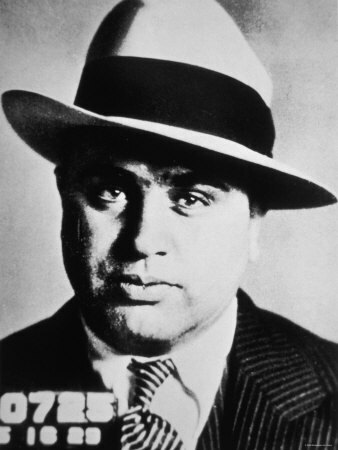 While Ness was eroding Capone's public influence, the IRS were investigating his private affairs and discovered he had never filed a tax return. In 1931 Capone was arrested for income tax evasion. His influence and resources reduced he was convicted and sentenced to ten years' hard labour. Released in 1939 his influence over the crime syndicates had gone, and he retired to his home in Florida where he died in 1947. With Al Capone in jail, the Untouchables were disbanded at the end of 1931. 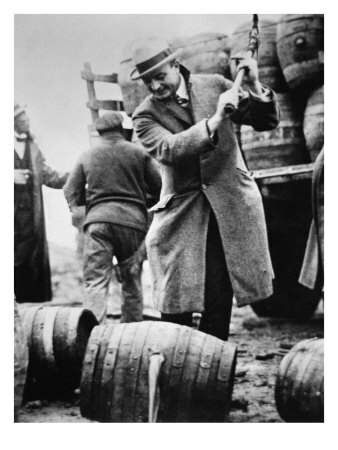 In 1933 Prohibition ended, removing the lucrative market the racketeers depended on. Eliiot Ness went on to become Safety Director at Cleveland in 1938, putting him in charge of police and fire. Once again he went after the mob, but also after a serial killer the "Torso Murderer" who was never caught. Running for mayor unsuccessfully, and performing a range of other duties, Ness's life never again reached the heights of his fame in the Untouchables. He died in 1957 after working with Oscar Fraley on his authorised biography. It was published a month after his death. With an all-star cast, including Kevin Costner, Sean Connery and Robert De Niro, this follows the outline of the story, although it is condensed for the screen. The Untouchables are reduced to four in number (Eliot Ness, Jim Malone, Oscar Wallace and George Stone), by combining several real people into each fictional member. Certain events are omitted while others are invented. That said, it's still a very good film, notable for Connery receiving a Best Supporting Actor Academy Award. Based on Ness and Fraley's book, the show ran for 118 episodes from 1959 to 1963, and was incredibly popular. Under constant attack from Italian Americans (including Al Capone's family), the show countered this by showcasing Agent Enrico Rossi, the Italian-American in Ness' team. Ness and his team never went up against many of the adversaries shown, and this is a highly fictionalised account. The series also features significant amounts of violence for one created in that era. Starring Robert Stack, this series is now available on DVD. (Season 3 and 4 are limited availability). With solid 4 and 5 star ratings, it's well worth a look. 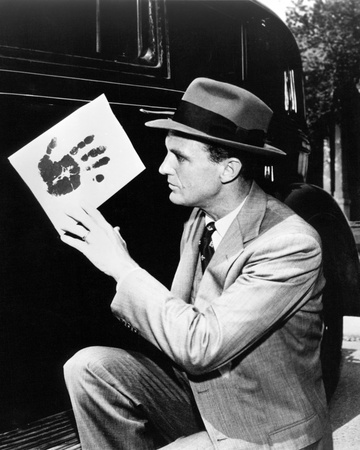 The Untouchables chronicles the campaign of Eliot Ness (Robert Stack), the young U.S. Prohibition Bureau agent, to smash the beer and booze empire of Al Capone in 1920s Chicago. Most recently the Untouchables was performed as a highly regarded Broadway show. Michael Cornelison performs Max Allan Collins' one man show "Eliot Ness: An untouchable life". Some sections are lifted directly from Fraley's book, such as the bribery attempt by The Kid, Ness's double agent. This article is very definitely a summary of the Untouchables, since trying to fit several years of operations into one lens is tricky. If you think I've missed something, have resources about the Untouchables that I should put on here, or just want to comment, this is the place! Excellent lens. Congrats on your Purple Star. Congratulations on the purple star! Loved the TV show and this is a thumbs up lens! Very fun lens, and full of interesting photos and facts. I enjoyed the visit, and I'm not under the influence of alcohol. In Ontario, Canada they were slightly hypocritical. They couldn't drink the demon drum, but they could make it for export. Nice lens. Watching the Robert Stack series with my dad is one of my earliest childhood memories. I really enjoyed this film so was really interesting to read more about the actual story behind it! How John Waller, highwayman and perjurer spent the last hour of his life.